We do everything we can to ensure that our practice incorporate the most advanced procedures and practices that contribute to our eco-friendly lives. Five years ago we joined the green dentistry movement to help make the world a healthier place. We practice water conservation, energy conservation through the use of digital radiography, digital record keeping to reduce paper consumption, responsible recycling and the use of non-invasive laser dentistry to keep our office environmentally friendly. Although current research shows that sealants and composite restorations containing BPA are safe, our dental practice provides BPA-free materials. We use paperless charting, meaning that all of your information is digitally stored on our computers. Paperless charting makes it easy to store and access all your information, as well as transfer X-rays and charts to other medical professionals as needed. 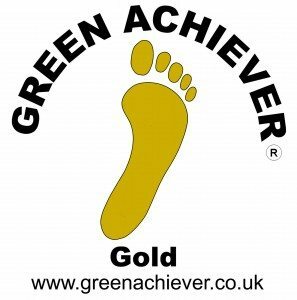 The 1.st Dental Practice in UK to be awarded the Gold Status by the Green Achiever.